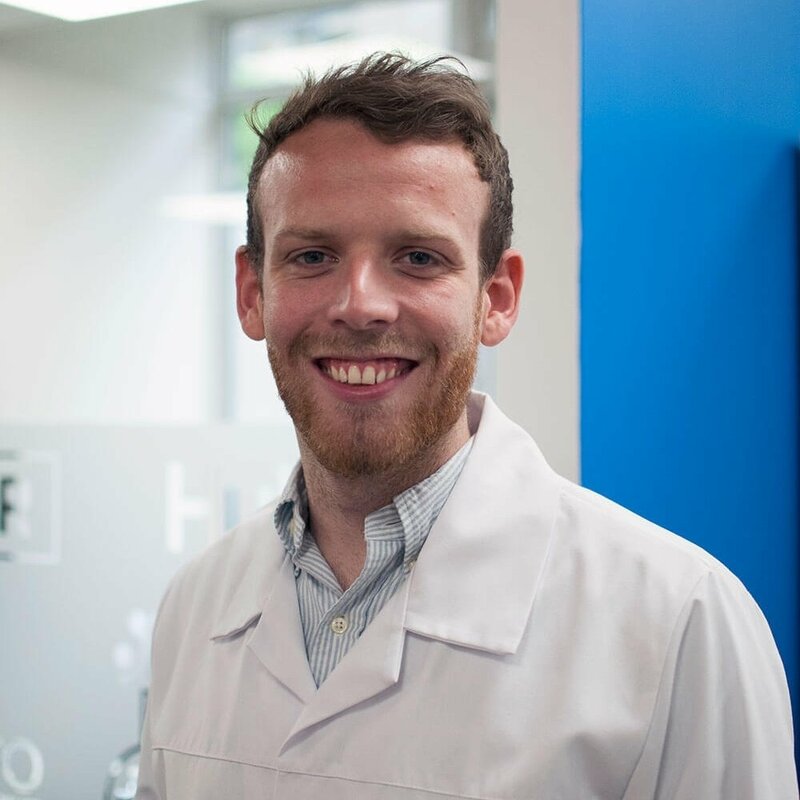 In this blog, Matthew Creswick, Group Head of Marketing at The B2B Marketing Lab, explains how lone HubSpot Marketing Managers can best use HubSpot to reduce the amount of time they spend on manual tasks and streamline lead management, nurturing and reporting. If you are a marketing manager using HubSpot, you probably oversee several tasks on a daily basis: social media, website management, content creation, event planning, PPC campaigns, website optimisation, sales lead management, customer relationship management, and weekly and monthly reporting. I feel your pain! One of the main challenges we face is trying to get all these tasks done during working hours - and without a junior or senior marketing executive to help, it's all about using your time and the tools you have to best effect! In this blog, I'll share some best practice tips and tricks that you can easily implement to ensure you - as the lone marketing manager - can work as efficiently and effectively in the time you have. While there will always be a need for instant, real-time posts on social media channels (perhaps you are responding to something in the news), when it comes to promoting your content, offers and events, most of your social media can be scheduled in advance and at once. Try to spend 30 minutes to 1 hour each week drafting and scheduling your social posts in advance. This can be done on a weekly basis - but ideally, monthly. You can then have confidence your posts are going out, leaving you to focus on other activities. 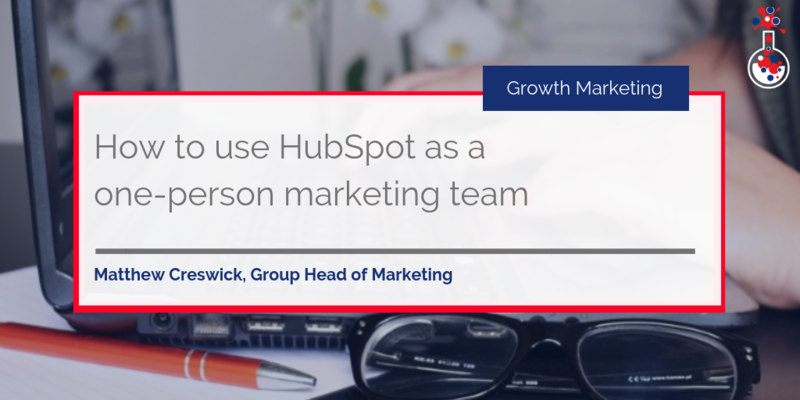 HubSpot is an absolute machine at managing and nurturing new leads - but it needs to be set up correctly to do so. WIth workflows, data processing is minimal and human error can be removed from the entire process, again, giving you more time to focus on value-adding activities. At B2BML, our Managing Director, Verity, has drilled into us the motto; "Don't report for the sake of reporting." As a marketing manager, you handle a lot of activities - and reporting on them can be a challenge, but it's important that you only focus on the information you want to see, need to see, and that makes a difference. In HubSpot, you can set up several marketing, sales and customer service dashboards to show the metrics and data that matters to you. These dashboards can also be set up to send out updates automatically on a recurring basis, ensuring you have the latest information at all times. If there's a focus on you to report on activity outside of HubSpot, I'd also recommend taking a look at Databox. Databox is a business analytics platform and one of our partners. It allows you to build really cool, fully customisable dashboard in HubSpot, as well as other platforms such as Google Analytics, Moz, SEM Rush and others (I LOVE it!). Another great way to automate lead management - and reduce manual data entry - is through hidden fields. Using hidden fields on forms, you can easily automate lead stage updates. For example, you could set a rule which says "if someone completes this form, automatically set their lead stage to MQL" and attach it to specific content assets. This is great for things like contact us forms, and bottom of the funnel content. This kind of functionality is great because it automatically helps you to identify hot prospects and segment them from the rest of your leads. Just reserve the rule for bottom-of-the-funnel content assets, such as pricing documents, brochures and product demonstrations for the best results. One of the best things about HubSpot is that you don't have to be a developer to build pages or templates in the tool. I am not a developer at all, but with HubSpot I can get by with CSS knowledge alone. However, that doesn't mean you don't need to learn how to use the content editors and design manager effectively. To make building web pages easy, HubSpot has a template marketplace full of amazing templates and modules that you can download and use. There's a whole range to choose from, including free templates to premium templates that you have to purchase. These templates can be a great time-saver if you have a specific offer or event coming up that you want to advertise/promote in a different way! Gaining trust and educating your audience is central to the Inbound Marketing methodology, and Inbound Marketing success - but it doesn't happen overnight. In some cases, your leads might need to watch 30 videos or read 30 blogs before they feel comfortable speaking with your sales team. What's important, however, is that you and your sales team are able to follow up with these leads when they show signs of being ready. There's an easy way to do so: HubSpot's lead re-visit notifications. These notifications inform you - and your team - of when a lead returns to a site (in real time) and provides information on exactly what pages that lead is looking at. The amount of times our team have got excited because 'John Smith' has come back on the site is becoming silly. However, it really empowers your sales team to act quickly and effectively when it comes to outreach, as well as ensuring that they have all the context they need before engaging in conversation. With lead revisit notifications enabled, you don't have to constantly update sales about the latest leads that come back to the site. Sales has all that information in front of them. As well as setting up lead revisit notifications, you also need to set up lead criteria to ensure your sales team prioritises "top" leads, it's in their interest after all. In today’s ‘always on’ world, you need to be aware of leads coming back to your website at all times, but while there are notifications and filters you can set up, checking your email every five seconds just isn't practical, or efficient. Checking your email every five seconds will disturb you and prevent you from completing work you need to get done. Instead, download and integrate Slack with HubSpot and set up Slack notifications. Rather than an email, you'll receive messages via Slack when you are assigned new leads, or a lead revisits the website. Clicking on any of these messages will re-direct you to your HubSpot portal where you can view the contact and/or respond to any chats from them. Along with Databox, Slack is one of the best tools outside of HubSpot I think you can use. Talking of Slack, click here to join our HubSpot London Slack channel and join hundreds of other HubSpot users for the most recent HubSpot news, content and advice. You can be a one-person marketing team - but it's all about careful planning and execution. With the right tools, planning and execution, it's entirely possible for you to be a one-person marketing team, YOU GOT THIS! Knowing how to make the most of HubSpot will enable you to reduce the amount of time you spend on traditionally "time-consuming" tasks, and have more time for value-adding activities, such as content strategy, content creation, new campaigns, reporting and the like. If you're looking for more HubSpot and Inbound Marketing advice, why not check out our free eBook below?